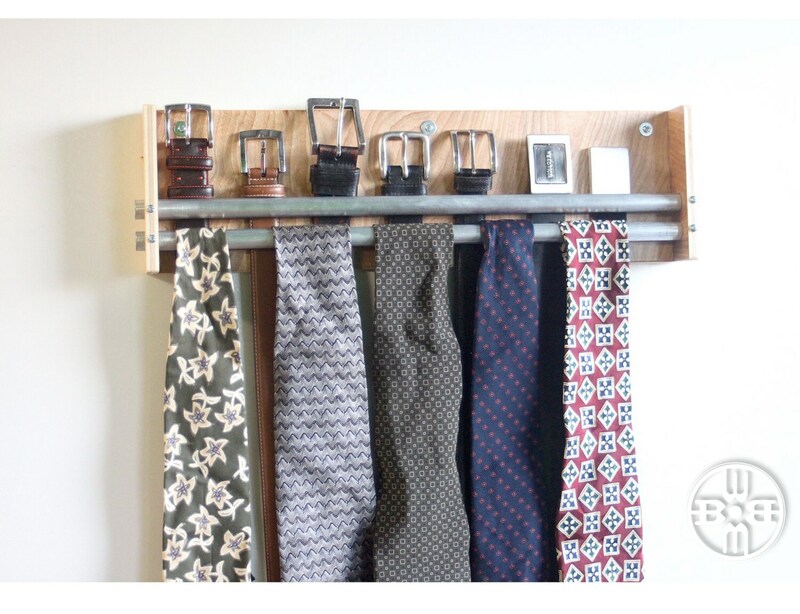 The "Double Barrel" is one of our belt rack, tie rack and jewelry organizer designs, sporting an industrial inspired aesthetic. 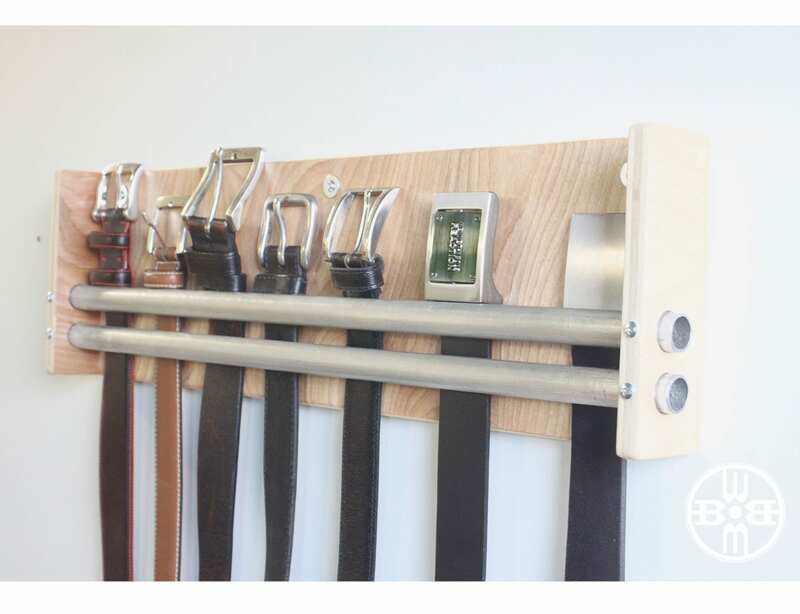 The design is the evolution of our "Buckle Up" belt holder. 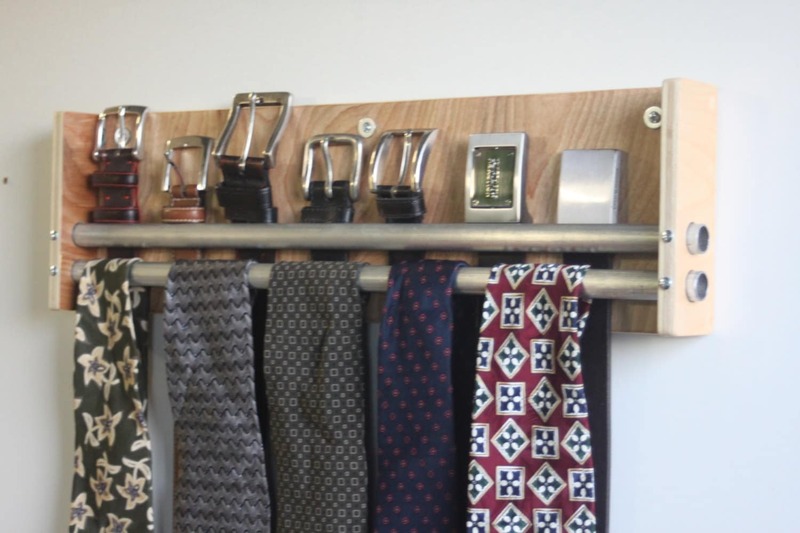 It is great for sliding belts into the top display or for storing two rows of ties. The item will also work great for hanging necklaces, watches and bracelets from the lower bar, if they have clasps that open and can then be re-attached around the bar. 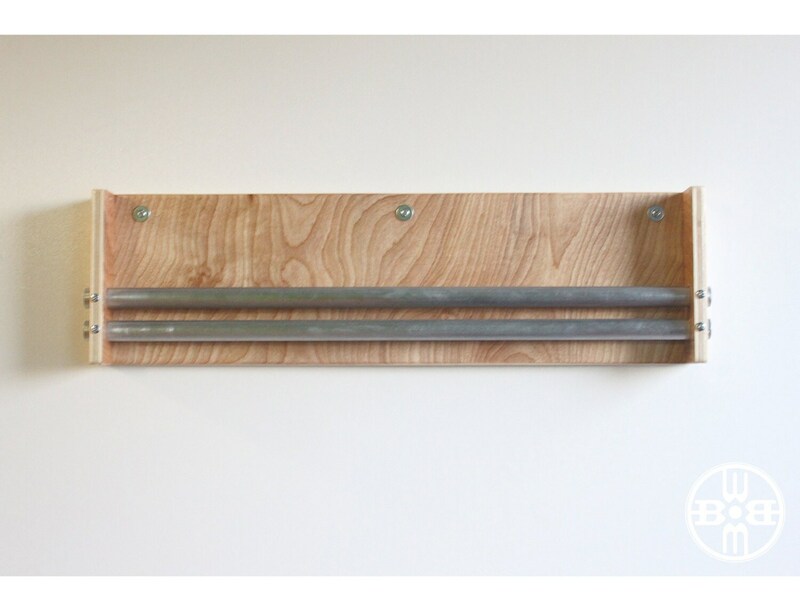 The Double Barrel is easy to install using three screws (not included) through the three washers located at the top of the rack. 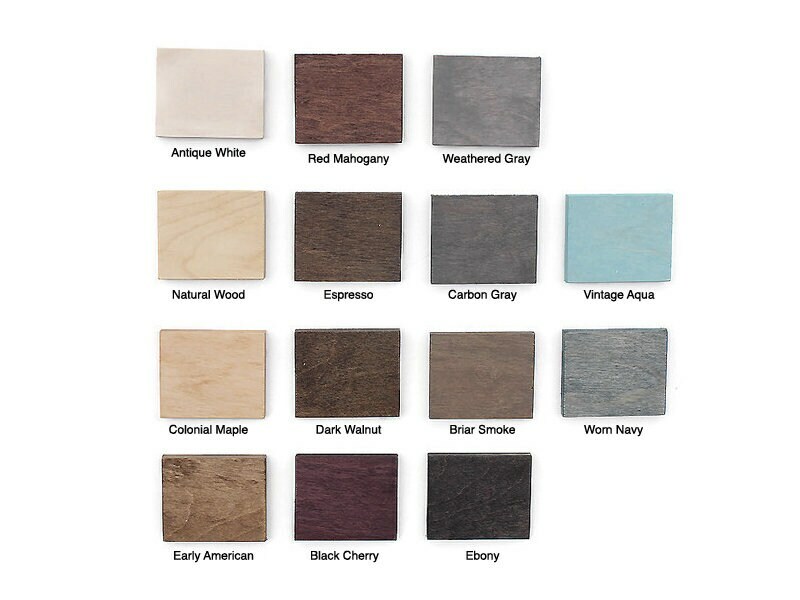 • Colors: (Please choose stain choice from drop down menu and color swatch image. 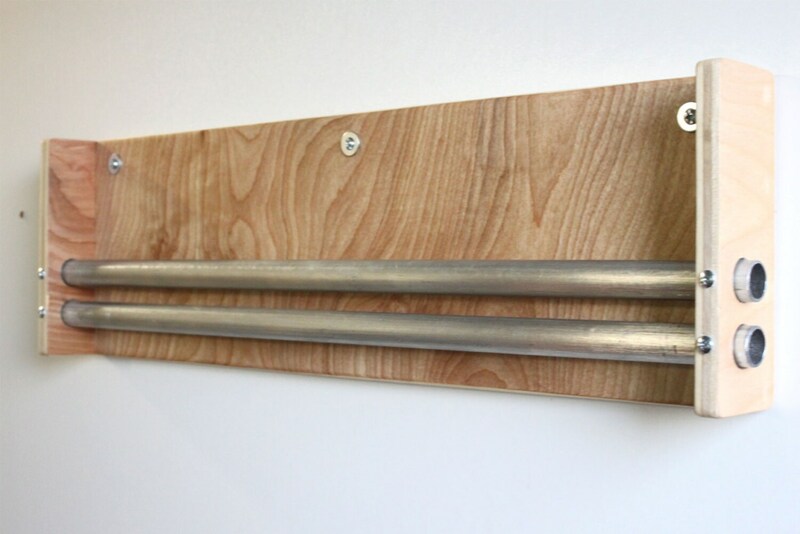 (Natural wood with silver rods picture here.) Item is finished with a modern matte clear coat.